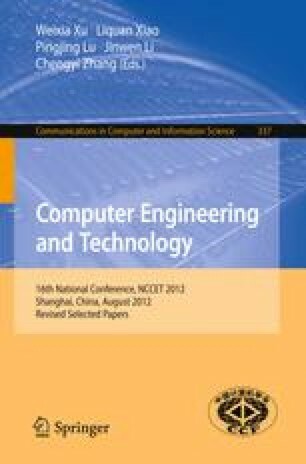 Communication in large scale interconnection networks can be made more efficient by designing faster routers, using larger buffers, larger number of ports and channels, but all of which incur significant overheads in hardware costs. In this paper we present a dual-port shared buffer scheme for router. The proposed scheme is based on a dynamically allocated multi queue and four-port Register File. Two physical channels share the same input buffer space. This can provide a larger available buffer space per channel when load is unbalanced among physical channels and virtual channels. We give the detailed organization of shared buffer and management of idle buffer. Result of simulation shows that the proposed method has similar performance using only 75% of the buffer size in traditional implementation and outperforms by 5% to 10% in throughput with the same size.